It took me a long time to admit that the media I consume impacts my mental health. I wanted to continue mindlessly consuming reality TV, reading the news obsessively and wasting hours staring at my phone. When I got really honest with myself I knew I was going to have to change the media I was consuming if I was going to improve my mental health. It actually made a much bigger impact than I thought that it would. Now I don’t even want to consume my old forms of media and I’ve worked really hard to make consuming healthy media a priority. 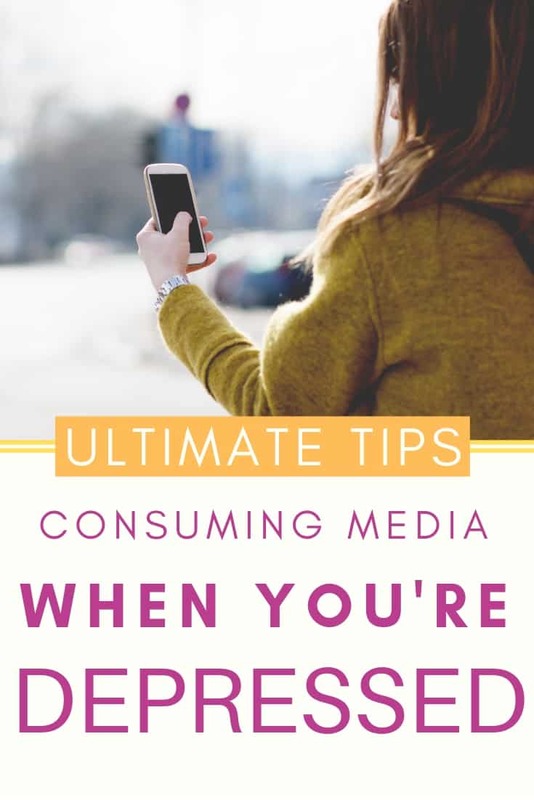 Here are some tips for consuming media when you’re depressed. This is the first thing I suggest to anyone struggling with depression. You need to start listening to positive messages to help counterbalance the negativity that is probably taking place inside your mind. I now listen to hours of personal development podcasts and audiobooks every single day and it has made a huge difference in my life. If you’re not sure what to consume sign up for my free daily boost video course and I will send you a free video to watch on YouTube every day for thirty days. The videos include a variety of things to make you feel good including funny viral videos, TED talks, and standup comedy. If you’re like I was you’re consuming hours of mindless media every single day. Getting intentional and purposely adding some positive content can really help your mental health and improve your depression. My depression is so much easier to manage now because I consume so much positive content every single day. 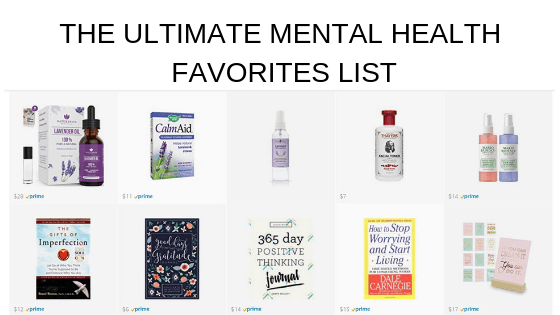 If you need some ideas for what to consume check out my favorite mental health podcasts and self-help books. When I was really depressed I used to binge watch TV shows on Netflix all the time. During this time I sank deeper and deeper into depression and even doing the smallest task seemed overwhelming. My therapist suggested that I start taking five-minute breaks every hour to do something productive. I would use this time to make lunch for the next day or pick up the house a little bit. Once my five-minute timer was up I could go back to laying on the couch. This actually added up and I was able to start getting a little bit done in the evenings after work. Eventually, I upped it to ten minutes of productivity for every thirty minutes I spent watching TV. Try it out and set a timer on your phone to be productive to five minutes in between episodes of the show your binging. You’d be surprised how much you can get done if you start doing this regularly. If you don’t want to clean and get ready for the next day you could also do five minutes of gentle yoga or journaling instead. After you’ve started adding in positive media to your routine now it’s time to start cutting back on consuming media. I used to let myself watch as much TV or look at my phone for as long as I wanted when I was done with work. It ended up getting out of control and I became really addicted to my cell phone. I realized that the amount of mindless media I was consuming was making my depression worse and I was determined to recover. I downloaded an app on my phone to limit the time I spend on social media. If I’m really feeling tied to my phone I will delete all of my social media off my phone at night and on the weekend (I use social media for work during the day). If you’re going to limit social media you’re going to have to find a better way to fill that time. Make a list of things you could do with the time you spend watching TV or scrolling your phone and start adding those activities into your routine.
. The idea is to add activities that will improve your mental health over time so add activities that are good for you and will help you feel positive emotions when done over time.